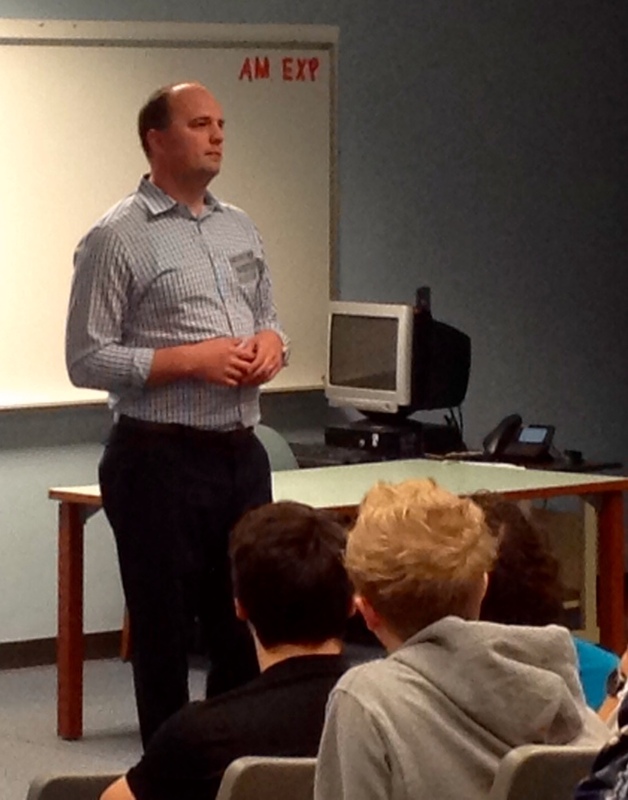 Hamilton Southeastern High School students in Katie Gelhar’s government and current issues classes made some real world connections when Fishers Mayor Scott Fadness recently visited to talk with the teens about the growth of Fishers and what’s in store for the future. Mayor Fadness gave a basic overview of how our town–now city–has developed, and described his own journey to become very first mayor of the City of Fishers. The students asked great questions of Mayor Fadness. Students queried the Mayor on topics current issues like mass transit, jobs, and their future as Fishers residents. The students were also curious for details of new innovations and changes that are on the horizon here in Hamilton County and Fishers in particular. The Mayor explained some of the new traffic patterns and roundabouts added to I-69 at 106th Street. He shared his vision to create a unique community, with features such as farm-to-table restaurants and community art. He also spoke about a new sports complex announced recently that will house a hockey rink and thirty-two basketball courts. The city will be leasing 12 courts for the community to use. Thank you, Mayor Fadness, for sharing your expertise–allowing young adults in our Fishers community to connect their in-class learning to real world processes, experiences, and challenges!